Posted by Dan Eggertsen on January 28, 2008 · Comments Off on Being a good bait. Is there a fishing technique that will help me get the bait right in front of the fish and keep it there until he bites? A fellow fisherman suggested using “crappie nibbles”. What are they are how do you use them? Does chumming for crappie work? 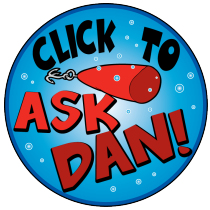 Posted by Dan Eggertsen on May 21, 2007 · Comments Off on Does chumming for crappie work? I heard a few Crappie fishermen talking about chumming for Crappie does it actually work? Do lipless crank baits work on Crappie? I’ve used lipless crank baits when bass fishing but have been told to try them on Crappies as well. Are there certain ones that would be more effective than others? Should I use live bait or artifical bat? Posted by Dan Eggertsen on March 27, 2007 · Comments Off on Should I use live bait or artifical bat? Is it better to use live bait or artificial bait when fishing for Crappie?